Welcome the warmer months with a visit to the historical Riverside Inn during the Riverside Music Festival. As soon as you approach Riverside: The Inn at Cambridge Springs, you'll feel the unique atmosphere. 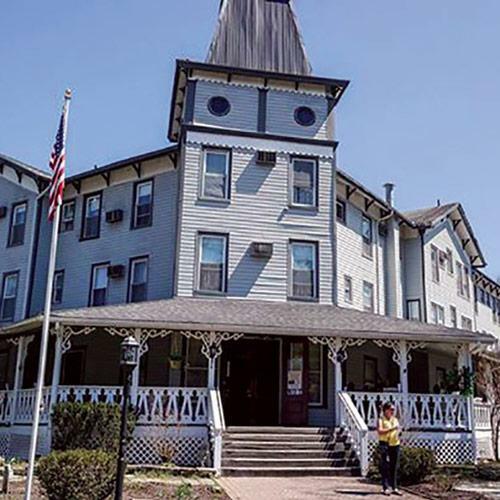 Walking up to the 133-year-old building, you get a rich sense of history; the inn is listed in the National Register of Historic Places, after all. It's a gorgeous hotel almost frozen in time. The location itself is enough to be inviting, but then you begin to hear the music. Greeted with welcoming notes of all timbres, musicians gather for impromptu jamborees along the hotel's vast porches. "As soon as you pull down the drive, you'll hear music. Not the amped-up, outdoor, huge stage speaker system kind, either. I'm talking about good old-fashioned porch jams with guitars, banjos, fiddles, upright basses, and so on." Event organizer Justin Moyar affirmed, "As soon as you pull down the drive, you'll hear music. Not the amped-up, outdoor, huge stage speaker system kind, either. I'm talking about good old-fashioned porch jams with guitars, banjos, fiddles, upright basses, and so on." After taking in the open, communal vibe, guests can visit any one of the numerous stages. From kickoff at 4:15 Friday afternoon with Paolello and Gone, to Sunday at 5:15 with Lori Burke, there will be 82 performances from local and regional musicians. The main stage is housed in the hotel's Victorian Room, the site of Riverside's Dinner Theatre productions. Moyar explained that "the main stage will showcase some up-and-coming local bands and also some fan favorites. Friday seems to emphasize more of a folk and bluegrass flavor, while Saturday is focusing more on the blues rock side of things. Both days will still have surprises interspersed in the lineup." The Gastropub Stage is the place to be for acoustic acts and solo performances alongside a full service bar. "We have a wide variety of styles and genres coming in, so that stage alone is a surprise every time the next performance starts," Moyar mused. The hotel's Ballroom will feature a mix of workshops and more live sets. In addition to all of the musical performances, there will be 13 workshops, ranging from morning yoga with Abi Pooler to guitar classes with Eric Brewer. Near the hotel will be a fourth stage, at The Villa Restaurant and Lounge. Located a short walk across French Creek via the Main Street bridge, you can find Bob Kellogg's Eerie Records Stage. "We've brought in some of the best punk, metal, rock, and everything in between from the tri-state area. Many of the bands can be heard on the Eerie Records Compilation CD, as well as others the company's produced," Moyar added. The sheer number of Erie musicians present at the hotel will be impressive unto itself. Throughout the weekend, people mingle, playing together in different combinations. 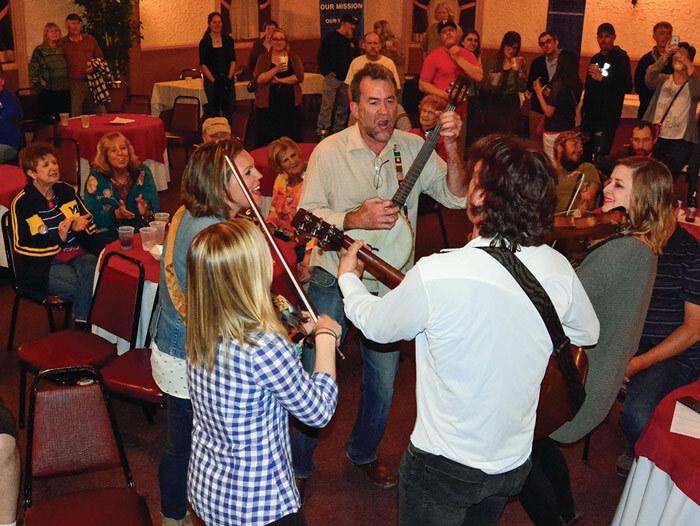 Singer-songwriter Claire Stuczynski looks forward to the weekend, exclaiming that "it's great to have all the musicians in one area for one weekend in the hotel to just jam and meet new people. That's what I love most about it." Stuczynski has performed at the festival nearly every year since its inception. "I've played solo, duo, trio, or full band on most of the stages," Stuczynski said. 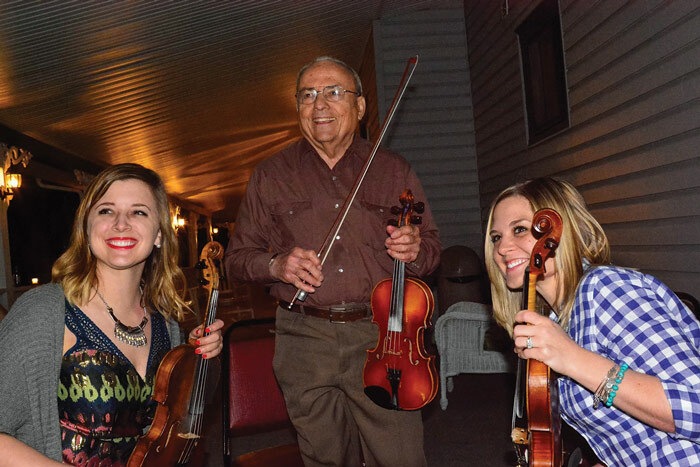 "It's one of my favorite festivals to play, because there are so many things going on at once, and I love the old wrap-around porch with everyone just jamming on it together!"